Imagine a place where the dead rest on shelves like books.Each body has a story to tell, a life seen in pictures only Librarians can read. The dead are called Histories, and the vast realm in which they rest is the Archive.Mackenzie Bishop's grandfather first brought her here four years ago, when she was twelve years old, frightened but determined to prove herself. Now her grandfather is dead, and Mac has grown into what he once was: a ruthless Keeper, tasked with stopping often violent Histories from waking up and getting out. Because of her job, she lies to the people she loves, and she knows fear for what it is: a useful tool for staying alive.Follow Mackenzie as she explores the boundary between living and dying, sleeping and waking, through these two timeless novels, now bound together in this thrilling collection. 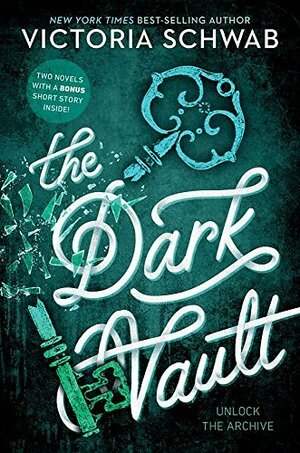 With stunning prose and a captivating mixture of action, romance, and horror, The Dark Vault delves into a richly imagined world where no choice is easy and love and loss feel like two sides of the same coin.